Oh, what a day it has been! After a restful sleep last night we had a relaxing breakfast this morning before getting into the car to drive around the island. We made our way north for a bit, and then turned west to cross the island. 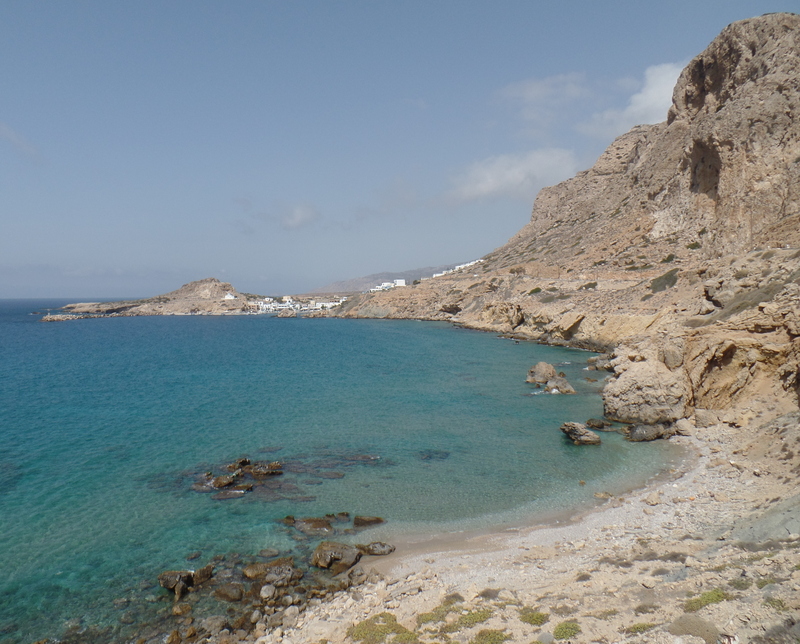 What a gorgeous, enchanting, and generally remote place Karpathos is turning out to be! And there is land for sale, too! 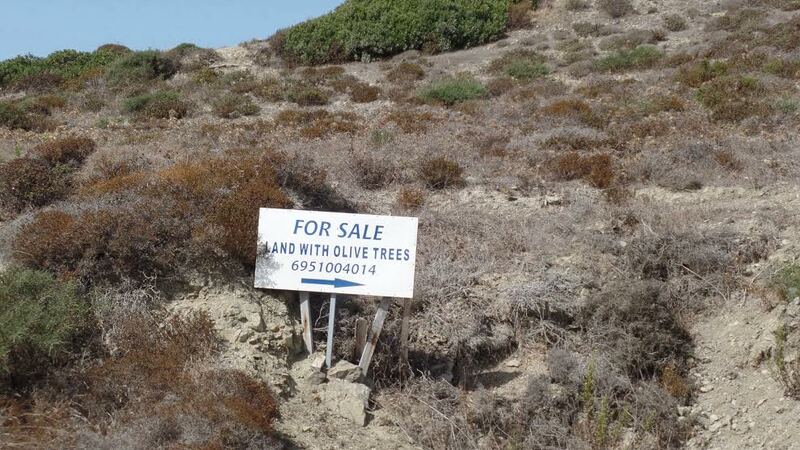 Land for sale–with olive trees included! 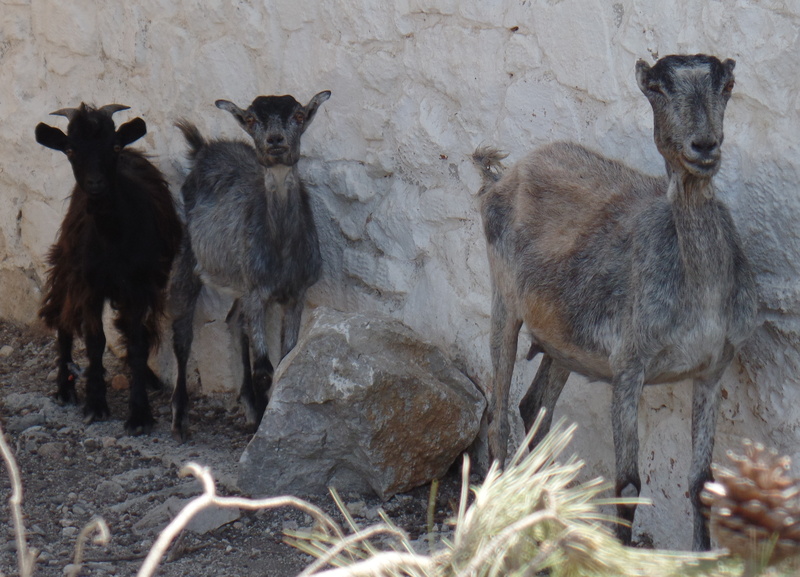 (replete with goats, a windmill and a restored traditional Karpathian home) gave us a tour of the grounds, sharing lots of interesting facts about Karpathos. 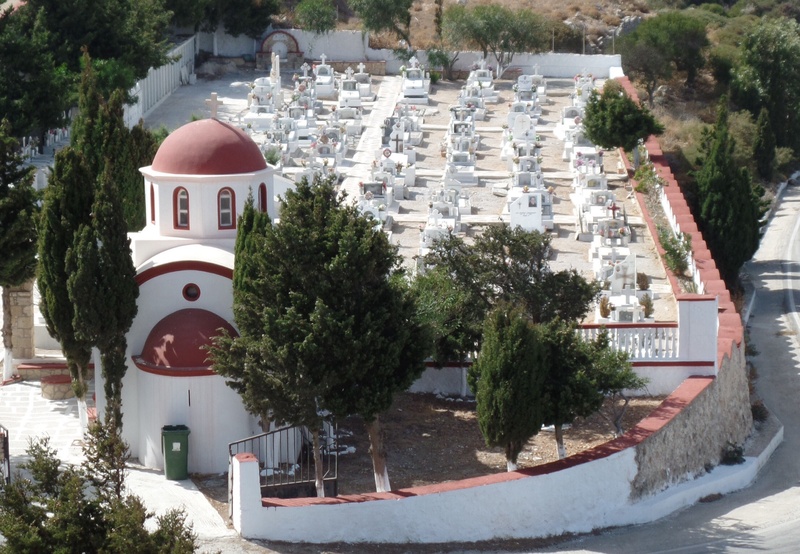 We were interested to learn that electricity did not come to Karpathos Island until the mid 1960s. 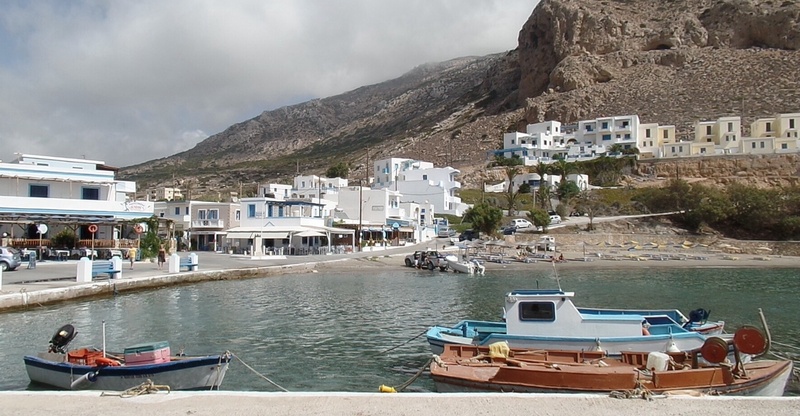 We also learned that the population of many towns on Karpathos drops by more than 50% outside of the summer months. Goats sure are cool, right? Our idyllic beach–water never felt so good! 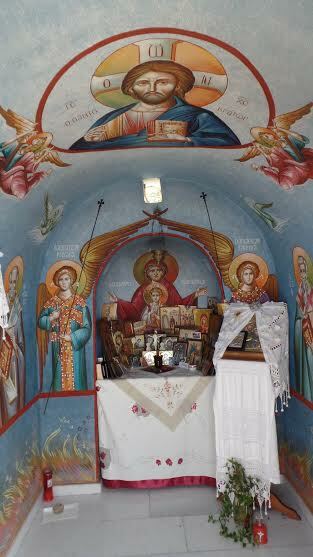 Roadside shrine–they are everywhere, and all so lovely! After our swim we climbed (carefully) back up the slope to the car and drove back to Pigadia, stopping several times on the way to take pictures of various sights. 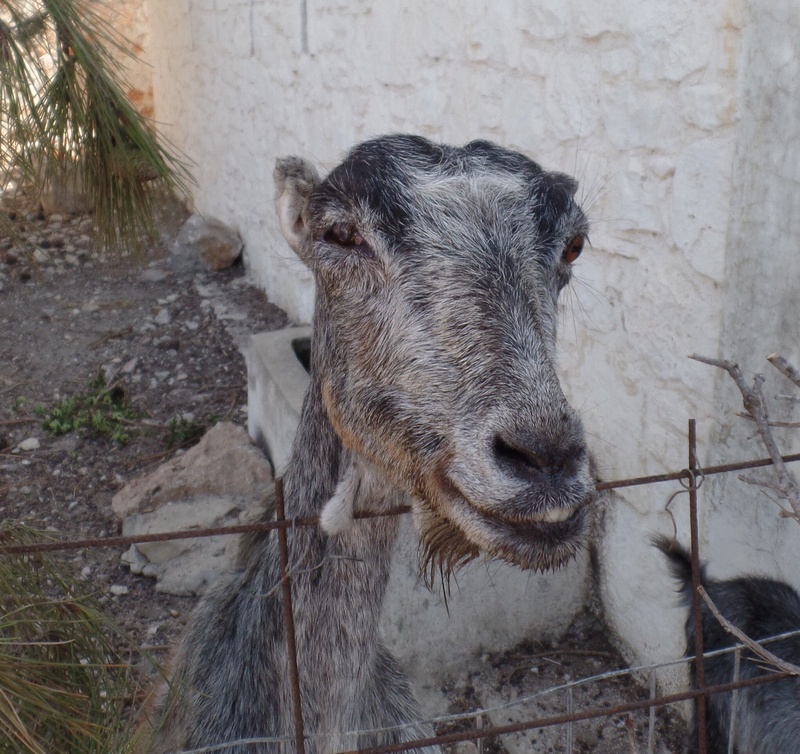 Sounds pretty idyllic… Not sure I see you forever with the olives and goats, but you never know! Enjoy it all. Just a reminder that Ginger is every bit as appealing as those goats!